Enable your physicians to deliver coordinated, patient-centered care to your patients. We provide a single source for foundational and emerging medical knowledge for each of your physicians to stay current and earn CME and MOC credit painlessly. 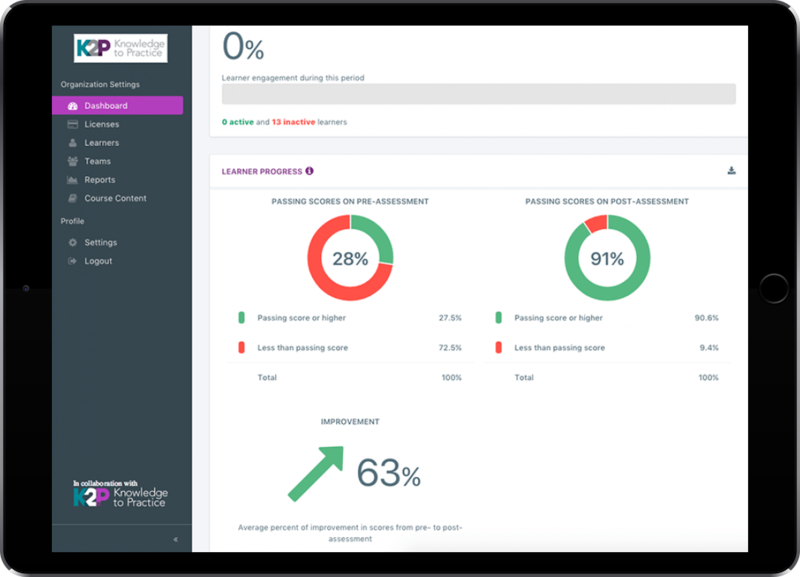 Knowledge to Practice gives you unbiased, online clinical learning modules designed by education experts and a dashboard to keep tabs on knowledge gaps and improvement opportunities practice wide.